The Best Denim Blogs from thousands of Denim blogs on the web using search and social metrics. Subscribe to these websites because they are actively working to educate, inspire, and empower their readers with frequent updates and high-quality information. Denim newsletter is a comprehensive summary of the day's most important blog posts and news articles from the best Denim websites on the web, and delivered to your email inbox each morning. To subscribe, simply provide us with your email address. From London to LA! About Blog Denimology is the top source for all things in denim and publishes news and articles about top denim brands and their designers, celebrities, sales and more. Follow this site to know latest updates, news, articles about denim. Facebook fans 9,542. Twitter followers 7,424. About Blog Denim and Jeans is a website dedicated to the world denim industry since 2007. The site is all about denim trends, news, reports. Follow this site to know the latest updates, trends and lifestyle, news about denims. Facebook fans 27,983. Twitter followers 688. Kanagawa, Japan About Blog Denimo Blog is all about denims. Follow this site for latest resources, articles, news, trends on denims. Facebook fans 47,043. Twitter followers 388. About Blog The Jeans Blog is an online magazine dedicated to everything about denim for those passionate about jeans. Checkout this site to know more about denim latest styles and trends, denim advice and tips. Facebook fans 1,494. Twitter followers 5,611. About Blog Make Your Own Jeans is a leading brand that produces custom-fit jeans. Follow this site to know more about denims styles and trends. Facebook fans 6,568. Twitter followers 135. New York, NY About Blog Sourcing Journal is a global resource for news and information tailored for textile and soft goods executives working on the supply chain side of the business. Follow this site for daily updates, commentary and opinion from industry experts related to denims. Facebook fans 36,368. Twitter followers 17,233. Lenzing/Upper Austria About Blog Carved in Blue is a website that delves into the inner workings and innovations of the denim industry and environmental responsibility. Checkout this site to know more about denim innovations in industry. Facebook fans 6,673. Twitter followers 1,801. London, England, UK About Blog ilovejeans blog is a jeans loving blog which gives customer the best information and guidance when shopping for jeans online. Follow this site to know more latest updates,styles,trends and guidance about denims. Facebook fans 1,093. Twitter followers 1,110. San Francisco, CA About Blog Eat, Sleep, Denim blog is all about denim trends and style. Follow this site to know more about latest news, trends and inspiration, lifestyle and reviews related to denim. Facebook fans 2,543. Twitter followers 3,676. London About Blog Denimhunters is a hub for knowledge about denim and jeans. Follow this site to know more about denim. Facebook fans 1,093. Twitter followers 1,387. About Blog The Denim Hound website is here to be your companion and aid on the hunt for the worlds best denim. Checkout this site to know more about denims new denim styles and trends. About Blog This subreddit discusses everything about denim which lets you easily talk to friends, view live stories and explore news. Facebook fans 1,194,201. Twitter followers 564,637. About Blog Denim Freaks is a magazine dedicated to Denim that includes denim products, the history, the industry, the best philosophy of the blue world. Follow this site to know latest updates, news and products about denim. Facebook fans 4,306. Twitter followers 570. Toulouse, France About Blog The Denim lovers zone is a blog where people share there ideas and thoughts randomly about denims. Checkout this site to know more about denims. Facebook fans 20,167. Twitter followers 6,351. 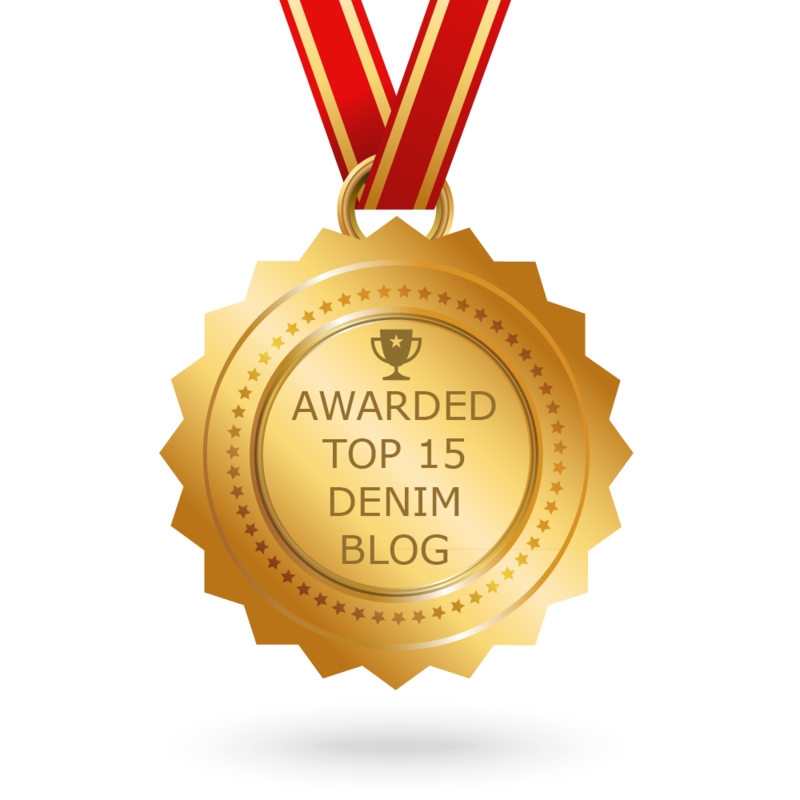 CONGRATULATIONS to every blogger that has made this Top Denim Blogs list! This is the most comprehensive list of best Denim blogs on the internet and I’m honoured to have you as part of this! I personally give you a high-five and want to thank you for your contribution to this world.